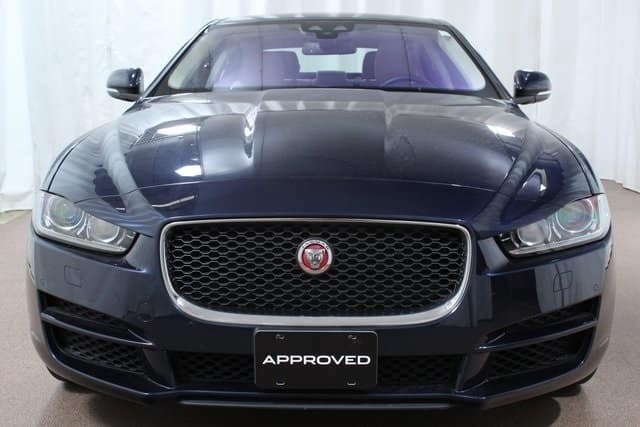 Jaguar Colorado Springs has a great inventory of Approved Certified PreOwned Jaguar vehicles, including this gently used 2017 Jaguar XE 35t Premium AWD sedan! With only 4000 miles on it (amazing for a 2017) and over $9,000 off the retail price, this Jaguar XE is ready to take you all around town and on your next long road trip. Equipped with a 3.0L V6 supercharged engine and paired with an 8-speed automatic transmission, you can expect an estimated 20 MPG city/29 MPG highway fuel economy! Plus, you can look forward to other great features including blind spot monitor with close vehicle sensing, power moonroof, and heated washer jets. The remote keyless entry, low tire pressure warning, and steering wheel mounted audio controls are all helpful features. As a part of the Jaguar Approved Certified PreOwned program, you also get many great benefits. Those include 24-hour roadside assistance, 165-point inspection, vehicle history, 6yr/100,000-mile limited warranty, and more. The Approved CPO program allows you to buy a gently pre-owned vehicle with the peace of mind that comes from purchasing a new vehicle. Let the experts at Jaguar Colorado Springs tell you more about the Approved Certified Pre-Owned program. Then take a test drive of one our impressive and luxurious Approved CPO vehicles today!